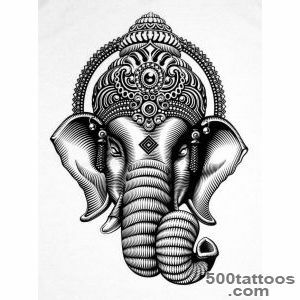 Ganesh ( Ganesh ), the elephant-headed - the Hindu god of wisdom , protector of merchants , masters of words and travelers . 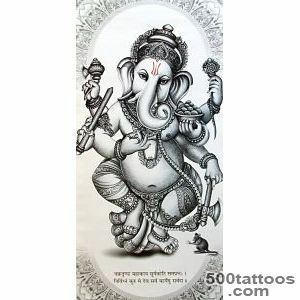 This is a very good deity worshiped in the multimillion India. 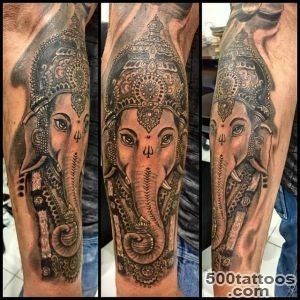 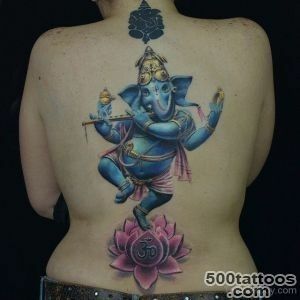 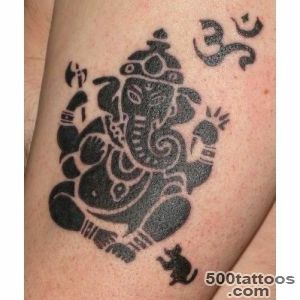 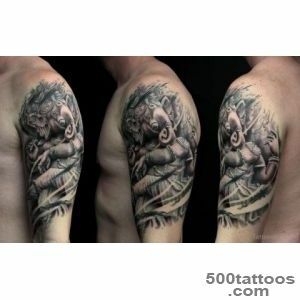 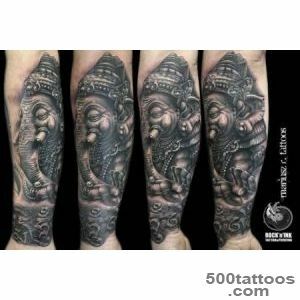 Tattoo with the image of Ganesha can symbolize a person belonging to Hinduism , of his interest in the ancient culture of India.perceived as a religious tattoo in the world . 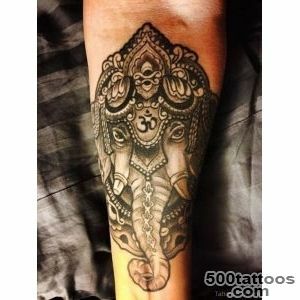 For people unfamiliar with the culture of India and Hinduism - it's just an exotic tattoos . 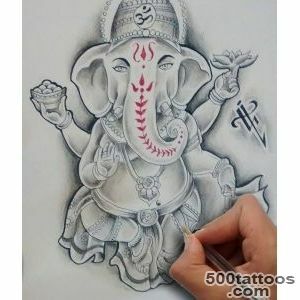 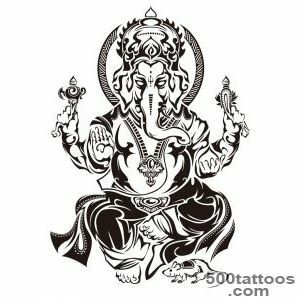 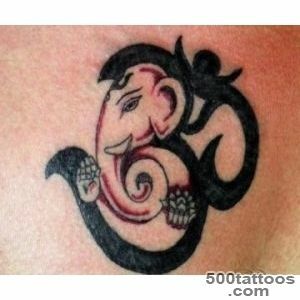 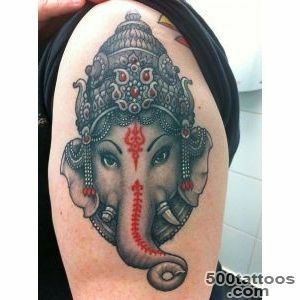 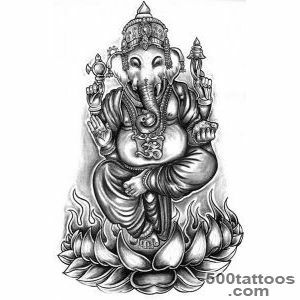 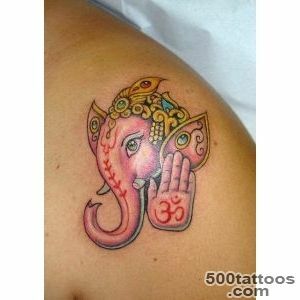 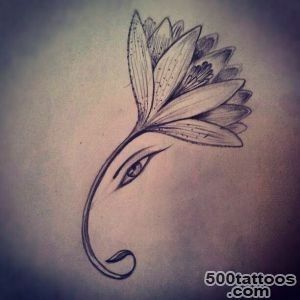 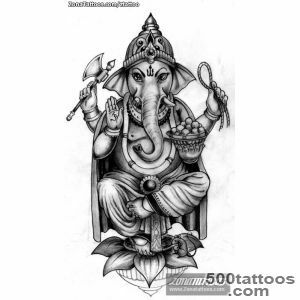 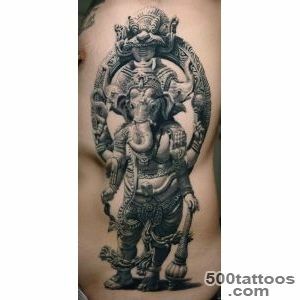 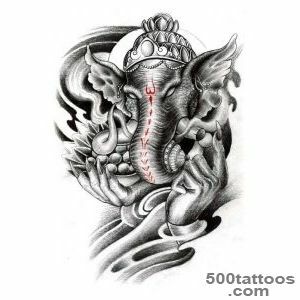 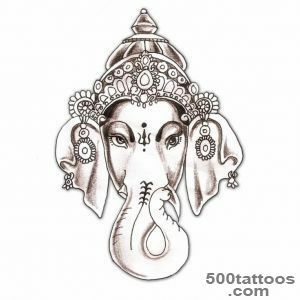 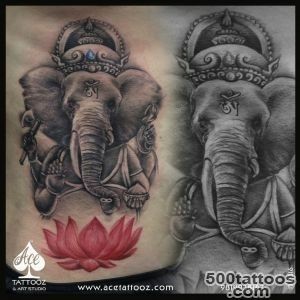 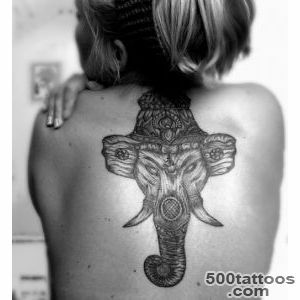 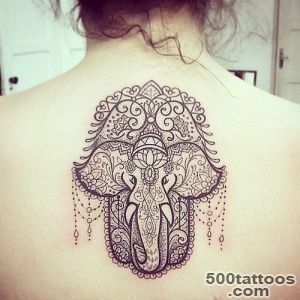 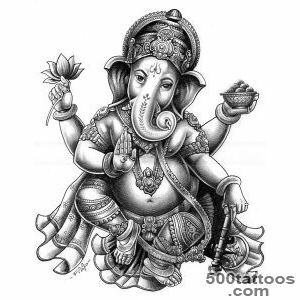 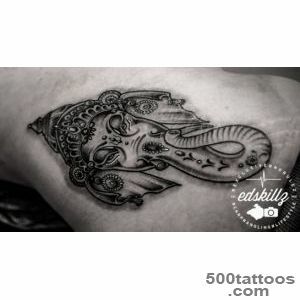 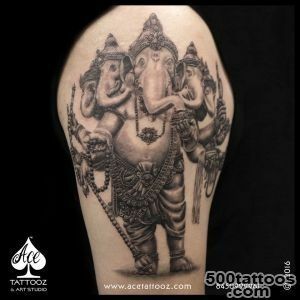 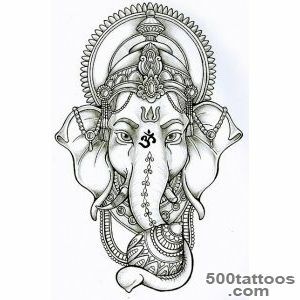 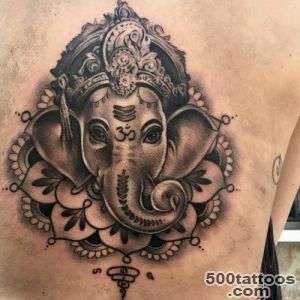 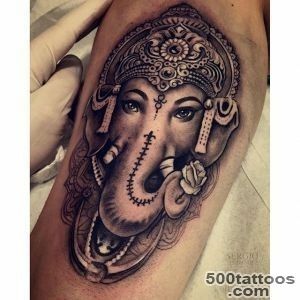 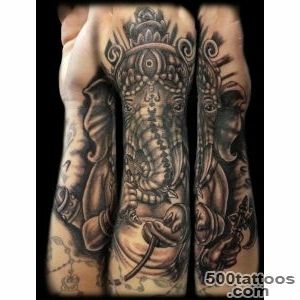 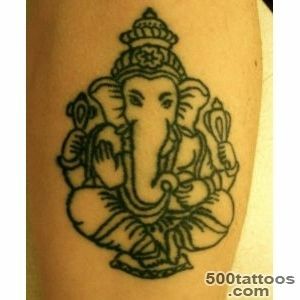 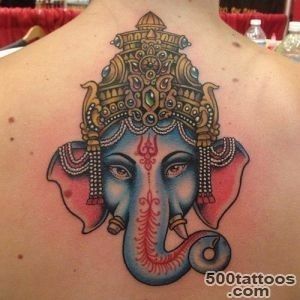 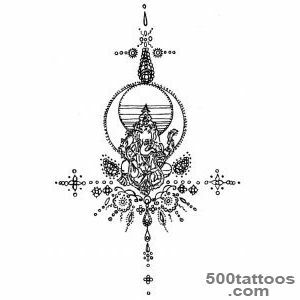 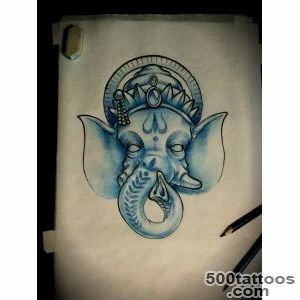 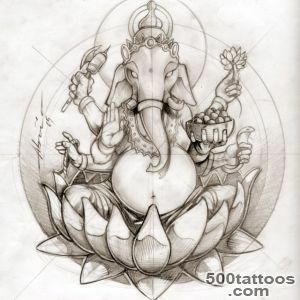 Meaning tattoo with the image of the deity Ganesh : the holder has a special fortitude , patience (or he wants to these qualities he has more ) , prosperity and well-being . 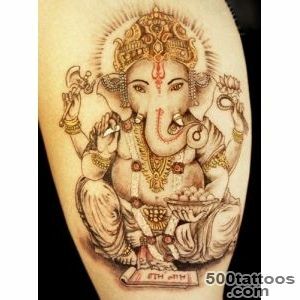 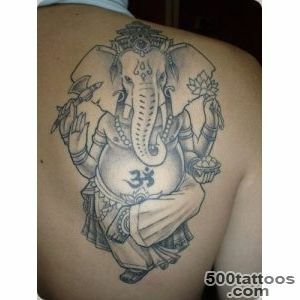 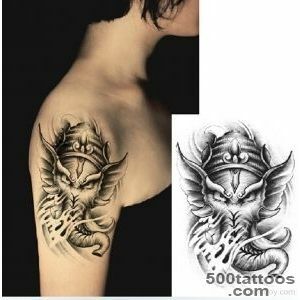 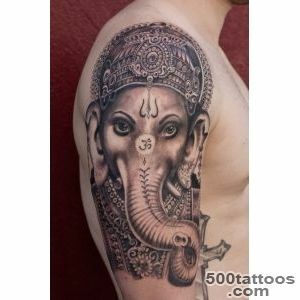 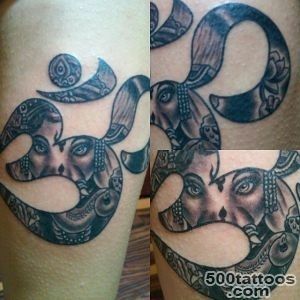 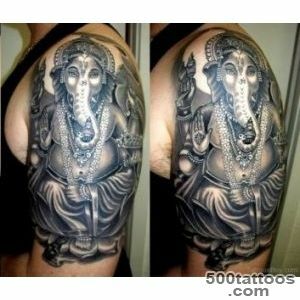 Hindus believethat tattoo with the image of the deity removes obstacles on the ways of man , leads him to the right path . 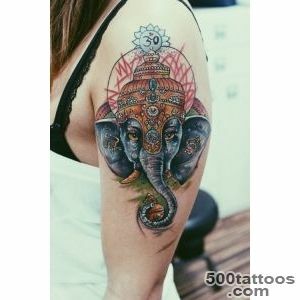 If you move away from cultural studies and to pay attention to the technical execution of the tattoo , you should consider one thing: it is a large-scale image , with a variety of small parts , and hence the tattoo is large in size .Most often, this tattoo made ​​on the back or the forearm . 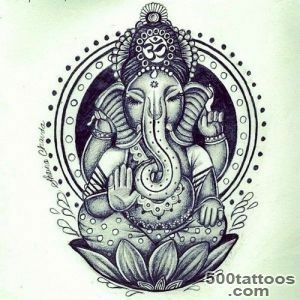 Preferences gender not.